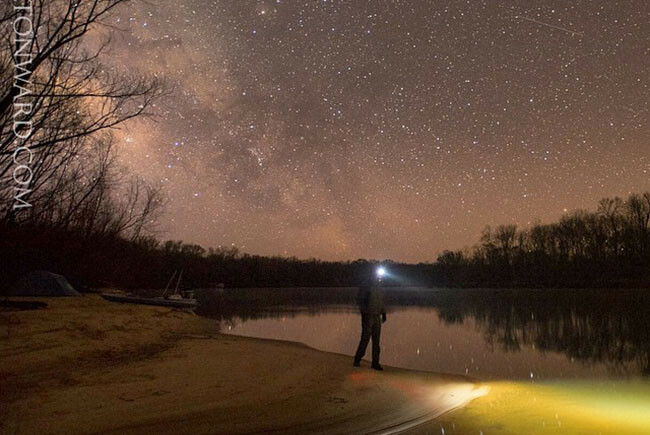 Stars shine over the Apalachicola River in the dark-sky heart of the Expedition, early morning on day 40. Steve Newborn wrote on Twitter: "Paddling the Apalachicola River w the Fl Wildlife Corridor Expedition - this a.m. was 29 degrees." 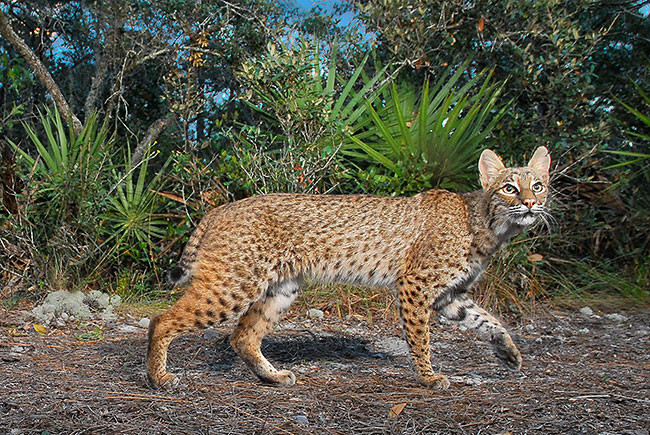 A bobcat, one of the many species encountered by the Expedition team, triggers a remote trail camera. 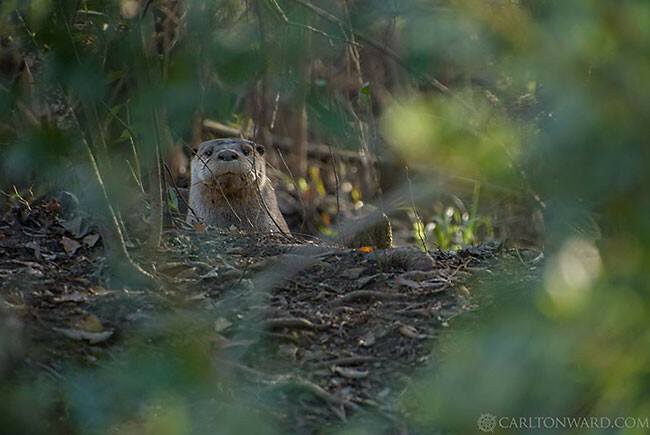 A North American river otter peers out over a tributary of the Ochlockonee River on day 35 of the Expedition. 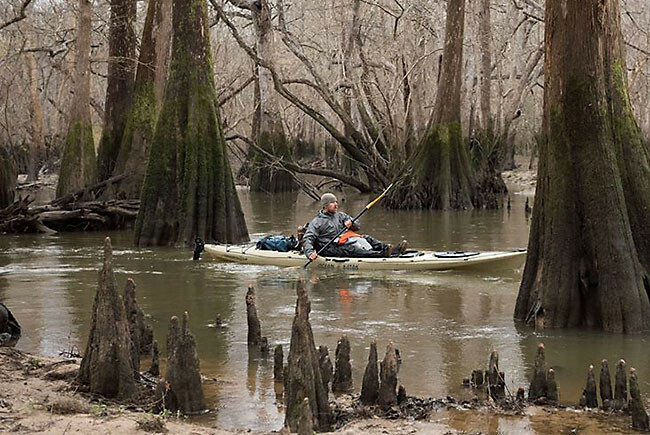 Joe Guthrie paddles through a cypress slough along the Apalachicola River during the first of four unsupported days. Sunset over the Wood Lake region of the Ochlockonee River; a fitting tribute to the halfway point of the Expedition. An osprey delivers fresh material for its nest in the Dead Lakes, a cypress strewn backwater of the Chipola and Apalachicola Rivers. 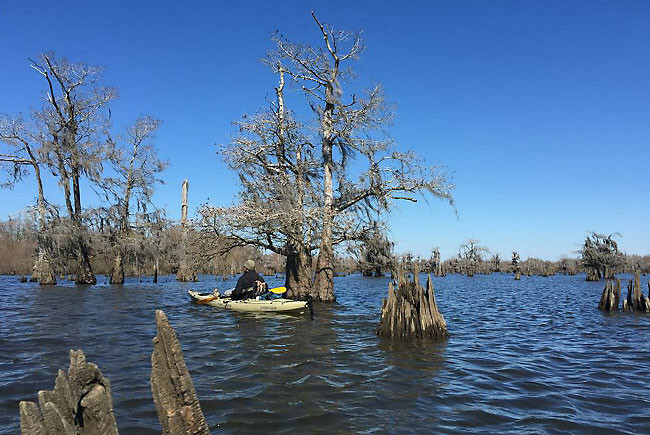 Joe Guthrie paddles under a cypress in windy conditions on the Dead Lakes of the Chipola River. 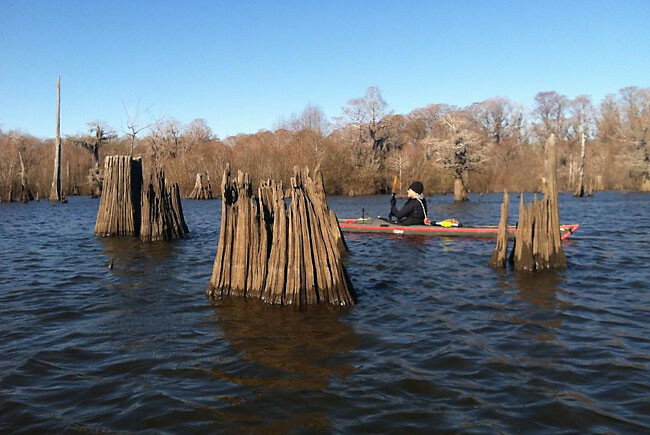 During week 6, the Expedion team traveled the backwaters of the Chipola and Apalachicola Rivers. 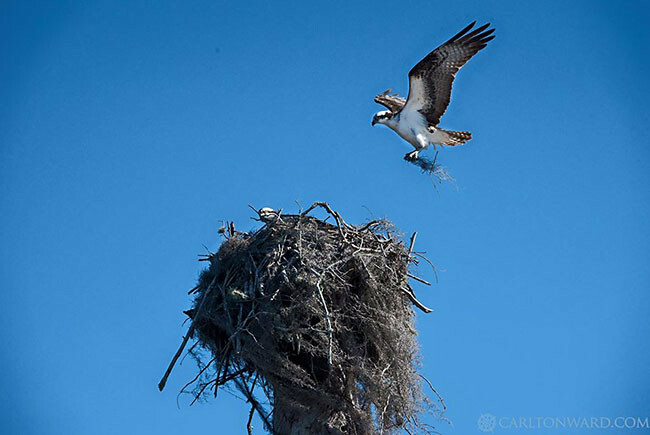 An osprey delivers fresh material for its nest in the Dead Lakes, a cypress-strewn backwater of the Chipola and Apalachicola Rivers. #‎Glades2Gulf Expedition day 41. The Apalachicola Bay is the only place in the U.S. where wild oysters are still being harvest from small boats using the traditional method, tongs. 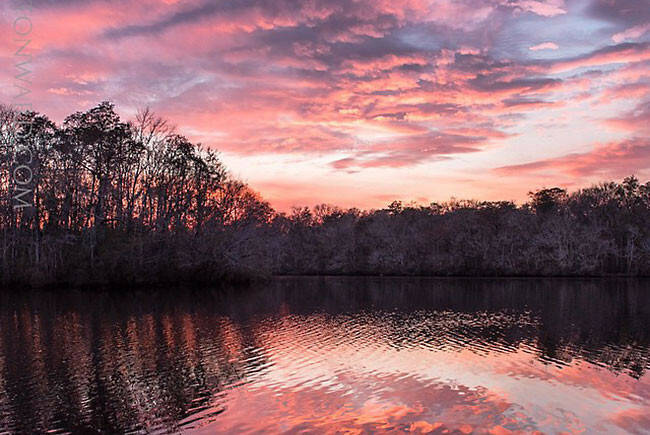 Our Expedition team and Apalachicola Riverkeeper are hosting a public Trail Mixer at Hickory Landing at Owl Creek for a 2 hour paddle this Saturday, Feb. 21st. The paddling trip has reached max capacity, but we hope you'll join us afterwards at the Apalachicola National Estuarine Research Reserve for a film screening of the 2012 Expedition and a Q&A session with the Team. Click here for details. Stars light the sky in the early morning hours of the #‎Glades2Gulf team's second day of unsupported paddling down the Apalachicola River. After a day filled with clouds and rain a clear sky was a welcomed sight, but also a sure sign of cold weather to come. “Is it a trail?” When people first learn of the Florida Wildlife Corridor and our #Glades2Gulf Expedition, this is often the question asked. I answer that the Corridor is wider than a trail; it’s a broad swath of habitat that connects even larger land areas important for wildlife, watersheds, and people. Still, in planning our travel route through the Corridor for our 1000-mile expeditions, we find and follow existing trails where available, just as wildlife do. In our daily journeys thus far (today is Expedition Day 35 of 70—the half-way point! ), we regularly see prints from bobcats, raccoons, river otters, birds, deer, feral hogs, and other species who use the same trails we’re on (see the full species sightings list at the bottom of this page). Finally, here's an upcoming Trail Mixer the public is invited to - mark your calendar, and come meet the Team! Join the Expedition Team for a paddling excursion through Coastal Dune Lakes on DAY 50 of the Glades to Gulf Expedition! This event is being sponsored by Yolo Board. Join up with the team at the boat launch parking lot. (Western Lake) Click here for a Google map to this location. Meeting Time: 1:00 p.m. Activity End-Time: 3:00 p.m. This paddling trip is SELF-SUPPORTED, so you must arrange your own watercraft. Paddle boards, canoes, and kayaks are all welcome. For canoe rentals, please contact the Grayton Beach State Park at (850) 267-8300 This trip is limited to 50 people, so please RSVP here.